As part of our June “Get Outdoors Month”, we are dedicating June 27th to the Superior Hiking Trail, our favorite 310+ mile trail that passes right through our backyard. 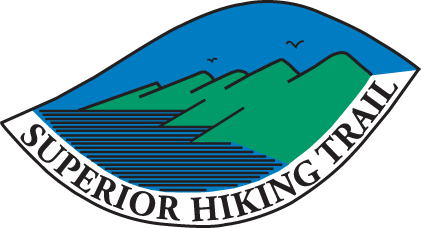 This event will feature a group educational hike, a specialty beer for the Superior Hiking Trail Association, and a presentation about the changes coming to the Cook County sections of the trail. The proceeds from our specialty beer will go towards trail maintenance as well as $1 from every other pint sold this day. Check out the schedule and our one of a kind beer and hike pairing sheet! 2:00pm – “A Tale of Two Bridges and the Tales They Tell about Caring for the Superior Hiking Trail” informational guided hike. Meet at the Kadunce River wayside at mile marker 119 on Highway 61 east of Grand Marais. 5:00-9:00pm – SHT representatives at the brewery to answer questions and chat. They will have maps, trail guides, and lists of Voyageur Brewing beer and hike pairings. 6:00pm – Presentation and conversation in the back brewery about the trail maintenance coming to Cook County. Carlton Peak & Palisade Porter – Both the hike and the beer are an option that’s juuust right and good in all seasons. For a three mile hike – and for a dark beer – this section and brew both surprise visitors because of how easy-going they are. The gorgeous peak view is accessible from the trailhead up the Sawbill in Tofte. Britton Peak & Swamper Pilsner – The 0.2 mile hike to Britton Peak begins from the same parking lot as the hike to Carlton Peak. You might look down when you reach the top and wonder how you finished this short and steep hike so quickly, just like glancing in your glass and wondering how your beer disappeared without realizing it. Lake Agnes & Double Amber – Hikers can view Lake Agnes on the section of the Superior Hiking Trail between Lutsen Mountains and the Caribou Trail. This particular hike has quite a bit of variety, especially in the fall. Our seasonal Amber also has a bit of variety, with its notes of both caramel and pine. Oberg Mountain & Boundary Waters Brunette – One of the most popular hikes in Cook County and one of the most popular beers on our menu. This hike is tried and true, as is our brew. Throughout the course of the 2.5 mile hike, you get panoramic views both Lake Superior and inland. Just as the beer is made with a local ingredient, wild rice, this hike is a true sampling of the local vistas, too. Cascade River loop & Lost Compass Imperial Stout – The 7.8 mile Cascade River loop takes hikers along both banks of the Cascade River, crossing at the bridge on County Road 45 (Pike Lake Road). Just like the beer, this hike is for people who want to venture beyond the expected and take the experience to the next level. While the Cascade River waterfalls you see first thing on this hike and the initial sips of this beer are beautiful themselves, they both only get better the further you get. This is the longest hike on the list and the “biggest” beer on tap. Pincushion Mountain & Sled Hound Session IPA – Going beyond the parking lot is crucial for this section of the trail. Many people are familiar with the Grand Marais overlook located a few miles up the Gunflint Trail, but there’s much more to see. Just like the hike, the beer also gets increasingly more complex if you venture beyond the surface. Judge Magney State Park to bluff above Brule River & Devil’s Kettle IPA – This section goes past the namesake for our IPA, the Devil’s Kettle. These waterfalls are some of the most mysterious and written about falls on the North Shore. The roaring intensity of the Devil’s Kettle pairs perfectly with our highest ABV flagship, which packs its own punch. White Sky Rock & Brule River Blonde – Similar to the Britton Peak trail, the hike to the top of White Sky Rock is short, yet steep. The likeness of these two hikes are reflected in the similarities of the Pilsner and the Blonde. The summertime views of the boats on Caribou Lake will make you want to kick back next to a Blonde and drink it in just as quickly as you finished the hike. 270 Degree Overlook & Trailbreaker Belgian Wit – The 270 Degree overlook is the official northern terminus of the SHT. Only the most ambitious of trailbreakers get to this point. Look around from this spot and drink in the view. Just like the adventure to visit our taproom, finding yourself at the terminus of the SHT didn’t happen by accident. All 310+ miles of the Superior Hiking Trail & Cucumber infused Brule River Blonde -The SHT is over 30 years old in Cook County, and it needs immediate love and attention in order to remain the premier hiking and running destination on the North Shore. Voyageur Brewing Company and our cucumber Blonde are both dedicated to supporting SHTA’s volunteer-led efforts to maintain and renew the Trail. Proceeds from this beer will go to SHTA’s trail work – so drink up!